- High brightness and high picture quality provide large and clear images even in brightly lit rooms. 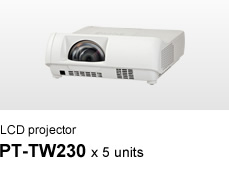 - An extensive selection of projectors supports a variety of installation sites. 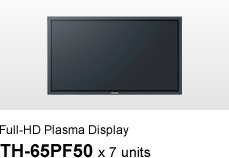 - A smooth system design and integration by employing Panasonic professional displays simultaneously. Ryoshinkan Learning Commons opened in the Ryoshinkan building constructed in 2013. At the facility, students can use the latest AV/ICT (Information and Communication Technology) equipment and develop inspirations beyond the boundaries of their academic majors and specialties. It is a place where students with the same goals gather and cooperate among themselves. 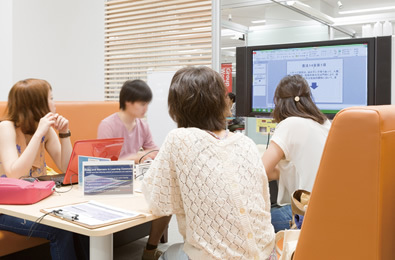 In this new learning environment, Panasonic video systems display discussion topics and presentations with clear and crisp images at various locations to support students' research activities. It is the most advanced "free space" where students can engage themselves in discussions on various issues beyond the boundaries of their academic majors and specialties, announce their research results, and deepen their knowledge and foster inquisitive minds. 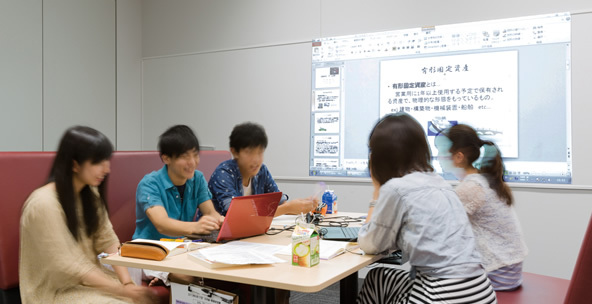 During various stages of research, such as the presentation of reference information and discussions, students use Panasonic projectors and flat-panel displays for effective sharing and announcement of information. The Ryoshinkan Learning Commons is divided into several areas to suit a diversity of learning styles. The Presentation Court is the main area of this facility. The motor-operated wide screen measuring approximately 5 m in width and 2 m in height descends from the ceiling near the wall, and two PT-DZ6700 projectors project images. Projected images are bright and easy to see even though the area is well lit, and the Multi-Screen Support System (Edge Blending / Color Matching) achieves seamless wide-screen images for effective presentations. Four PT-DZ6710 projectors are set up on the periphery of the Presentation Court. These are designed to operate individually, so multiple groups of students working on different research topics can view images on their respective large screens. Since these screens also serve as whiteboards, students can add figures and texts on the projected images to carry on discussions smoothly. Presentation Court is equipped with two PT-DZ6700 units on a tailor-made descending screen as well as four PT-DZ6710 units on four other screen. The layout can be changed flexibly according to applications, such as presentations and discussions. The whiteboard screens installed on the periphery to allow addition of texts and figures onto projected images. There is a group work area at a corner of the Learning Commons. This area lets students have discussions in a variety of styles according to their needs and the number of group members. In addition to the usual table-and-chair style, a Japanese style with tatami mats and an info-diner style resembling a family restaurant ambience are also offered to promote innovative and creative thinking. These booths are also provided with projectors and touch-panel displays. Students actively operate the latest AV/ICT equipment so they can cultivate their skills to use advanced equipment. This makes them fully prepared when they go out into the world. Both ordinary table-and-chair style area and Japanese style booth are equipped with PT-DW530 units. 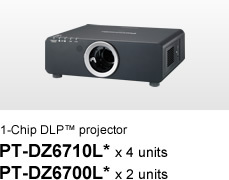 projector or a touch-panel display. and students use the projector for effective discussion. 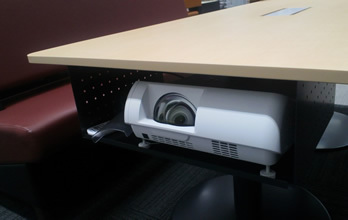 PT-TW230 short-focus projector installed under the table. 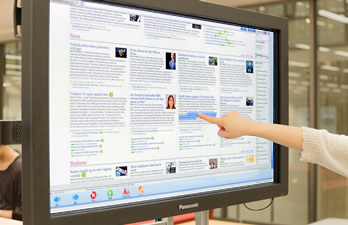 (In the Global Village area) a touch-panel display enables viewing of overseas satellite broadcasts or browsing newspapers published in other countries. 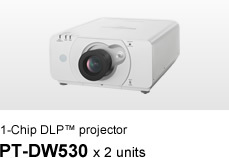 When Doshisha University began constructing the Ryoshinkan building, they decided to select projector models suitable for the classroom sizes and screen sizes in advance. After examining the sizes of rooms and their usage, the university chose Panasonic products. 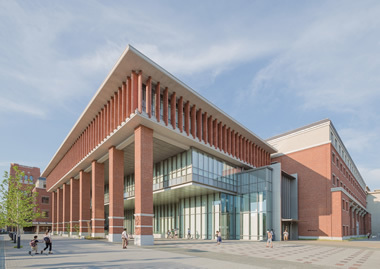 Doshisha University is pleased with the choices they made, since the use of products―both large and compact models―manufactured by the same company facilitates maintenance after installation and the systems including displays can be designed and configured smoothly. Talented individuals who have studied in the most advanced learning environment will emerge from Kyoto to the world. 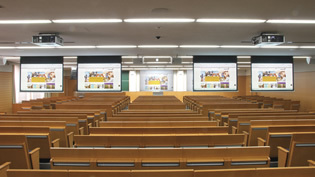 Panasonic projectors and flat-panel displays have also been installed in other facilities at Doshisha University. The university's new buildings were equipped with the most advanced AV equipment to stay ahead of the changes in today’s day and age. 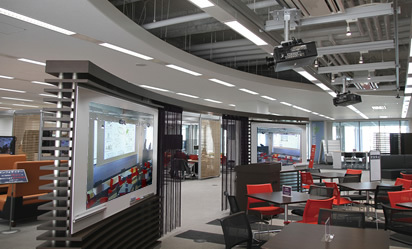 Panasonic provided cutting-edge visual solutions to support better understanding in this learning environment. For more information, please see “Doshisha University, Ryoshinkan bldg. and Shikokan bldg.” page. * The PT-DZ6710L/DZ6700L is a lens-less model. The PT-DZ6710/DZ6700, a model with a lens, is also available. * 3 units are with Touch panel. * 11 units are with Touch panel. * 2 units are with Touch panel.